Prior to moving to Kauai, I enjoyed a successful 15-year career with the largest luxury real estate brokerage in New York City. Initially I was a top-producing agent, winning numerous awards and co-founded a top producing sales and leasing team. After 8 years as an associate broker, I became The Director of Rentals where I led a department of over 1,500 agents company wide and have been quoted in the WSJ, NY Times, Crains, The NY Post and others on monthly market reporting. Shortly after, I was promoted to EVP/ Sales Director of the Tribeca office, managing 140 sales agents and improving production in New York's most expensive neighborhood. Collectively, I've represented and coached thousands of real estate transactions and billions in sales volume over my career. My passion for real estate comes from meeting new people, forging relationships and making connections to the land. I have a talent for networking and creating opportunities for others. Living in flow and having balance is easy when you love what you do. 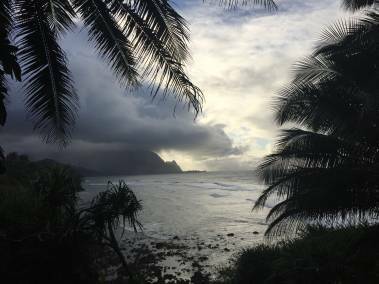 My wife and I traded our home island of Manhattan for Kauai to have our son and follow our dream of living by the ocean and in nature. We fell in love with the rich culture, close knit community and the spirit of Aloha. We are fortunate to call Kauai home… it really is an amazing Hawaii life.